Creative Access was born out of the flames that engulfed parts of London and other major UK cities in Summer 2011. The woeful lack of understanding in the media of the communities worst affected by the riots, and the endless parade of white middle-class commentators appearing on our screens, brought a small group of people together with a single mission: to try to do something urgently and directly about the marked under-representation of people from Black and Asian backgrounds working in the Media. Anecdotal evidence was backed up by hard facts. Despite over 50% of Londoners now coming from a BAME background, the proportion of people from non-white backgrounds working in the creative industries is half of what it is across the rest of the economy. At senior levels within the industry it?s as low as 3%. The 2012 Employment Census published by Skillset in July 2013 showed that Black, Asian and Ethnic Minority (BAME) representation across the creative industries has in fact fallen in recent years. Creative Access was formally established as a charity in April 2012 to provide opportunities for paid internships across the creative industries for young people of graduate (or equivalent standard) from under-represented black, Asian and other minority ethnic backgrounds. Our story so far is very positive, in terms of engagement by the sector and the young people we are recruiting. In the period from April 2012 to March 2014, Creative Access will have placed 150 interns ? most of them graduates, all of them BAME ? with companies and organisations across the creative sector, from television and film to publishing and print journalism, advertising and PR, theatre and music. By 2016 our target is to place a further 300 young people. 80% of the interns that have completed their internships so far have gone on to secure permanent roles in the sector. The long-term aim is for them to bring others from under-represented communities in alongside them, and so the scheme will develop its own sustainability. Working with the UK?s most successful creative firms, Creative Access provides a foot in the door for young people who would otherwise have little or no chance of making a career in the media. As a charity, we firmly believe that the absence of diversity in the media is not only bad for our society but is also bad for business, which thrives on having a diversity of ideas and opinions. Britain?s creative sector will lose out if it fails to recruit the best and brightest talent from every background. Many of our young people are the first in their family to go to college or university and cannot afford to work for nothing. Unpaid internships ? historically common in the media ? are not an option for them. So Creative Access internships are properly paid and last for between six months and one year to give each of our interns the best possible chance of securing a full-time job at the end. Internships through Creative Access are paid a salary based on the London Living Wage. The charity contributes a proportion of the salary cost and covers all the costs of recruitment and pre-placement training. Television is leading the way, generating over 40 internships so far, in TV production and broadcasting. 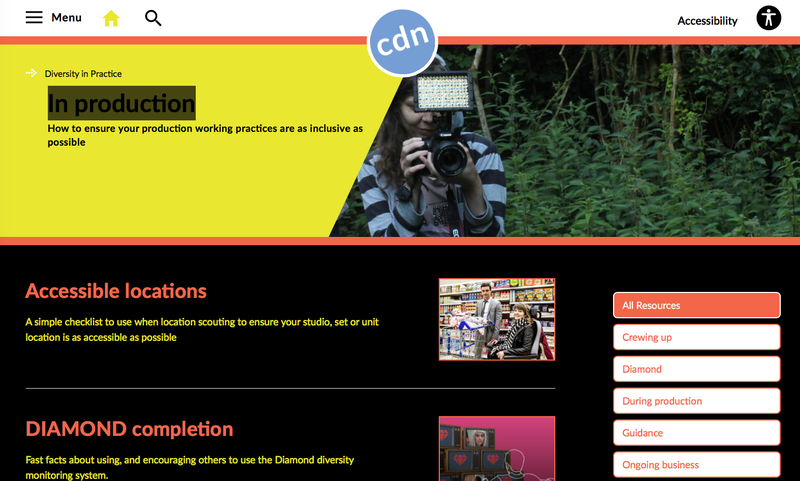 Creative Access works in partnership with Pact, to support the Indie Diversity Trainee Scheme involving Shine, Shed, Zodiak, All3Media, Endemol, Hat Trick, Keo and Fremantle. We have also recruited for a number of other indies including Betty, CPL Productions, TwoFour, Fresh One, Left Bank Pictures, Red, and Talent TV South. ITV Studios was among the first companies to work with Creative Access, and we are now into our second year with two new interns starting in October 2013. Our partnerships extend across British broadcasting with, alongside ITV, Channel 4, Channel 5, Sky and the BBC now supporting our initiative. Many other famous names across the creative industries are now opening up opportunities for recruits through Creative Access including Sony, EMI, NBCU, Framestore, Marv Films, BigTalk, Random House, Harper Collins, Freuds, Hearst magazines, the Daily Mail, The Times, The Ambassador Theatre Group and many more. Creative Access recruits candidates through an extensive network of colleges and universities, social media and collaboration with other charities and specialist recruitment organisations. Every Creative Access intern is given a senior mentor to help the intern build confidence, credibility and competence and specifically to help them think about how to advance their career in the creative sector. All interns must complete pre-intern training run by Creative Access. This covers soft skills and specific industry and technical knowledge. We also run a programme of monthly masterclasses with senior role models from across the creative sectors. These are compulsory for all interns and optional for those who have finished their internship. It was access to all areas for our interns at an ITN masterclass in June this year, as you can see from this video: https://vimeo.com/69001977. Creative Access was run as privately-funded pilot project for first 18 months of operation. Since October 2013, we have been supported by the UK Commission on Employment and Skills and are now proud to be part of an Industrial Partnership funding bid being led by Channel 4 and Creative Skillset. Creative Access founder, Michael Foster: ?It is vital now, more than ever, that the diversity of Britain is reflected in the media. It makes sound commercial sense for creative businesses to bring in people with diverse backgrounds and talents. 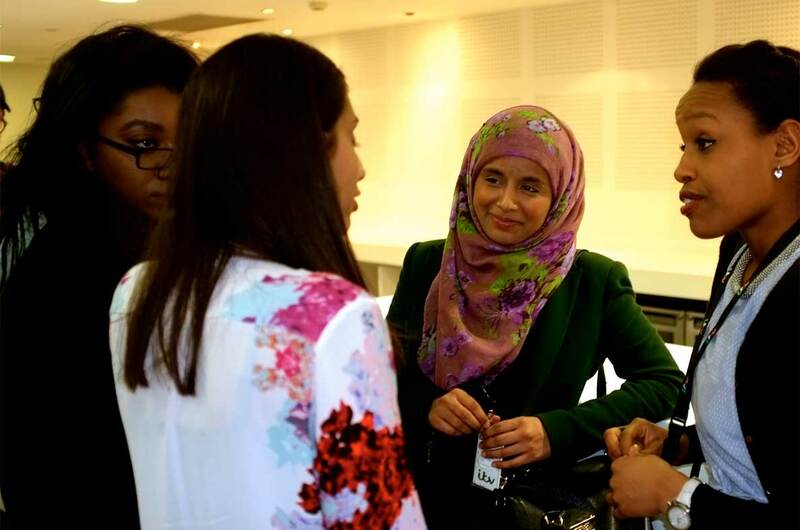 With Government support, Creative Access is now able to open up the sector to yet more talented people from BME backgrounds who are still hugely unrepresented.? Ziyaad Desai, Former intern at ITV Studios: ?A career in television seemed to be a distant?pipe-dream, but Creative Access?plucked me out of an?oppressively?dull finance job and gave me a chance. I make no exaggerations when I say that Creative Access has changed my life.? Dean Webster, Shine: ?The Creative Access scheme has truly jumpstarted my career in television. The opportunities created during my internship at Shine have shown me a large variety of key business areas. The high quality training in specialties such as freelancing, copyright and self-shooting allow me to confidently contribute to the shows I work on and the departments I work within; and the masterclasses provide a friendly, social atmosphere to network with my peers and industry professionals. This scheme is a must for anyone looking to start a long and prosperous career in television.? Mushana Mkushi, intern at the EMI Archive Trust: ?To get into music you had to be prepared to work unpaid for months on end and often, a foot in the door was dependent on who you knew. This left many ethnic minorities out in the cold. Creative Access is the beginning of a path which will change the face of the creative industries as it has done for my whole career.? Clarissa Pabi, former Intern at Random House: ?The supportive infrastructure Creative Access provided (and continues to provide) me with has been invaluable.? After a year-long internship, Random House created a new role for me at Ebury Publishing. I believe I now have a responsibility to help create more opportunities for other people.? Denise O?Donoghue, MD ITV Studios: ?For me, one of the key strengths of Creative Access comes from working together with other employers across the creative industries ? ?helping us to up our game creatively, appeal to a broader audience and ensure healthy growth.? Natalie Jerome, Publishing Director, Harper Collins: ?Creative Access has hugely helped HarperCollins open up our business to new graduates from a diverse range of backgrounds and it will be this multiplicity of ideas, interests and viewpoints that will ultimately drive our whole industry forward. ?